The media has been buzzing lately with news about Vietnam– the protests of the large-scale fish deaths, President Obama’s visit (and the question of lifting the arms ban), and the much-welcomed release of Father Nguyen Van Ly from his fourth, and hopefully final, prison sentence. We also want to make sure that news circulates about Tran Huynh Duy Thuc, who is starting a hunger strike on May 24th, during the President’s visit and on the anniversary of his arrest. Thuc, an entrepreneur and blogger, is currently serving a 16-year sentence. He is less than halfway through the sentence. On May 5, Thuc was moved from Xuyen Moc prison to Prison 6, which is located in central Vietnam. The reason for the transfer is unclear, and this means he is now further away from his family. This distancing tactic has been seen in other cases of prisoners of conscience as well. Thuc’s family visited him at the new prison on May 14th and reported that he looked sleep-deprived and thinner. Thuc told his family that the authorities proposed to release him, but only on the condition that he be exiled in the U.S.. This was an approach also used by the authorities in the releases of Dieu Cay and Ta Phong Tan. Releases, while positive, when coupled with forced exile, further silence activist voices and give off a false international image that Vietnam is complying with international requests for improved human rights. Thuc turned down the proposition, saying he would rather die than be exiled from Vietnam. His hunger strike aims to promote government adherence to the rule of law and the right to democratic governance by the people in Vietnam. We are deeply concerned about Thuc’s treatment in prison, as well as the health risks that a hunger strike can pose. He has committed no crime and for far too many years has awaited justice. Please take action with us, below. For more background on Thuc’s case, visit his profile. Send an Urgent Action, from Amnesty International, on behalf of Thuc and other imprisoned activists. Sign a petition on change.org, set up by his family. Tweet at President Obama, asking him to press for the release of Thuc permanently and not conditioned on exile. You can Tweet @POTUS, @BarackObama, or @State_DRL (Human Rights @ State). 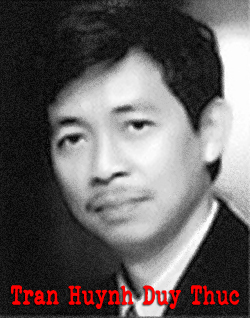 Sample Message: Take action for Tran Huynh Duy Thuc on #Vietnam visit.Serving 16 years, soon to be on hunger strike. #FreeThuc.